This is probably the most advanced polyline tuning app there is, and we’re not kidding! 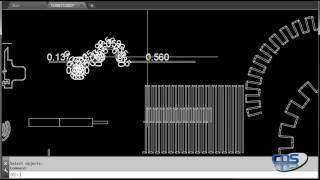 CAD Design Software uses its expertise as an EDA company to bring you this amazing app. This app gives you five different tuning ( Accordion, Trombone , Serpentine and more) options and comes packed with eight powerful post processing (editing, reporting and much more) options to give you complete editing and reporting control. The unbeatable combination of tuning options and post processing features will make this the last tuning app you will ever need. Download your free trial and get TUNESTUDIO working for you today! This application will start in Trial-Mode and allow 15 trial runs or 1 day, whichever comes first.